Ben Nevis stands out as the peak mountain in the British Isles. Standing at an incredible height of about 1350 metres above sea level, Ben Nevis gives you the feeling of being close to heaven. The top of the mountain offers spectacular views of the surrounding Scottish Highlands and the close town of Fort William. 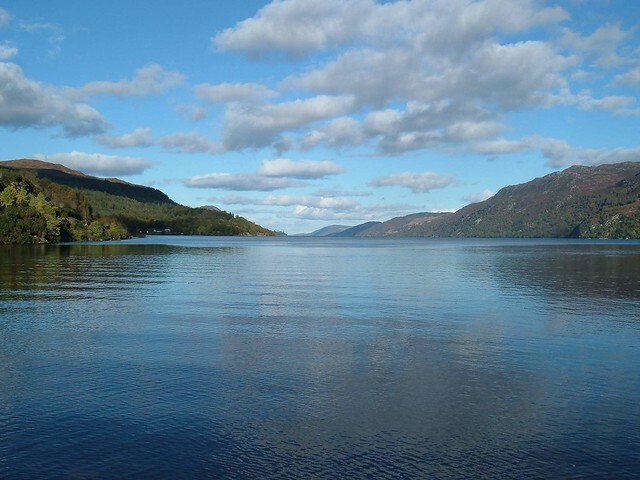 The mountain is surrounded by very lush hotels and resorts including Inverlochy Castle Hotel, Ben Nevis Guest House, Lochan Cottage Guest House, Spean Bridge Hotel, and the Best Western Imperial Hotel. Sweetheart Abbey is located about 14 kilometres south of Dumfries. It not only has a unique architectural design, but also a very wonderful history. It was founded in the year 1275 by Lady Dervoguilla of Gallow in memory of her husband, John de Balliol. When her beloved husband died, Lady Devorgilla embalmed his heart and carried it around in an ivory and silver casket. When she died, she was buried along with her right like’s embalmed heart in the abbey’s High Alter. The abbey is surrounded by very lush hotels including Abbey Arms Hotel, Dalston House Hotel, Aston Hotel Dumfries, and the Candidale Hotel & Leissure Club. The Abbey is just over an hours drive south from Glasgow airport where you can pick up a car. Much of the drive will take you through attractive countryside so it best to plot your journey during the day if possible. This is one of the most perfect romantic spots in Scotland where you can propose to your sweetheart or go for your honeymoon. It dominates the skyline of Edinburg city from its strategic position atop the volcanic Castle Rock. Apart from offering stunning views of Edinburg city, the castle also houses some of Scotland’s impressive attractions including the Scottish National War Memorial, Fantastic Hall, Royal Palace, Crown Square, and the Half Moon Battery. Iona is small gorgeous island found in Inner Hebridges, off the south-west coast of Mull. It measures only 4.8 kilometres long and 2.4 kilometres wide. The island is home to very notable attractions including Iona Abbey, Iona Nunnery, St. Oran’s Chapel, Machair, Heritage Centre, and the Marble Quarry.